i'm truly embracing bright neons in spring. this calvin klein jumper is amazing, it doesn't photograph as well as it should. and this tshirt is just an inside joke for fashion peeps, do you not think? i found this parka jacket in the cupboard under our stairs, from about 6 years ago. so warm and cosy. its become one of my favorite coats. fo' sho. also, my beautiful alexander mcqueen scarf arrived yesterday. it was raining so hard so i didn't wear it today. but its already hanging up for tomorrow. i can not wait. yesterday i was cutting out pages from magazines for the walls in my walk-in, and i realised they were all featuring either freja beha or the utility trend, or both on one occasion. so today i felt i'd embrace it. i had such a desire to wear these jeans asap, i haven't worn them in monthss but something just called out to me, so here you go. i've attempted to photoshop around my legs as you may see, as the pockets on the thighs do not photograph as well as i'd like. shame. also this leather jacket is amazing, just throw that out there. i just thought i'd give you guys a quick photo tour of my new walk in wardrobe. it houses 25 pairs of shoes, 6 pairs of sunglasses, 5 bags, 12 belts and countless clothes. i wore this outfit the other day when i went to see the kings speech (amazing), and grab some japanese food. it was soo comfy, although not overly fashionable. in the end someone actually took this cardigan with them from the cinema, which is a shame seeing as it too me so long to find out i really liked and they don't sell it anymore. needless to say i was not a happy bunny. but on a happier note my walk in wardrobe was finished today, so expect a photo tour uploaded tonight, as well as loads more added to my ebay store. i'm off to tidy the house, play in my wardrobe, and finally do some designs for my soon-to-be-real t-shirt line. adios. so this week has been my first week back at college (finally). for those who don't know i study business, and my days are 9-5 and 9-3, so i tend to need to be comfy. this is why i am in love with this alexander wang creation of an oversized hoodie. i was pining for ages, and finally i got my hands on it. its beautiful and so so soft. i am in love with it, officially. i went to see the kings speech tonight, with colin firth and helen bonham carter. if people haven't seen it you shuld defiantly go. the whole film deserves every award out there. i already have my outfit pictures for tomorrow, this is the most orginised i've ever blogged before. i like it. alexander mcqueen skull scarf; i've tried to stop myself going for skulls and crosses and leather. but its never going to happen, so i better embrace it. and this scarf is perfecttttt. 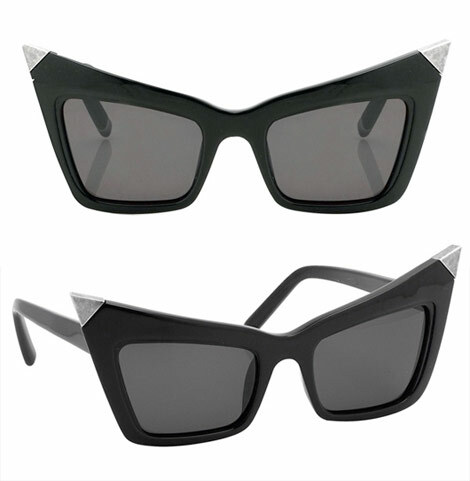 alexander wang sunglasses; i don't know why i don't own these. i love sunglasses and i love alexander wang. they were right under my nose the whole time. christian louboutin shoes; god i love these shoes. they're hi-tops and theyre studded. 'nuf said. this weeks resolution(this is my new thing i'm doing, exciting i know); to take pictures of my outfit, if not to blog, just to keep track of different outfits. fashion. blogging. alexander wang. chai lattes. driving nowhere fast. dvd nights. messy hair. meals with friends. ebay. bbm. vivienne westwood. leather. anything studded. jackets. black&white. planning my dream life. changing career choice every day. aftershave. mac skincare. too much jewelry. window shopping. shoes. vogue&gq. taking pictures. being the designated driver. soberisexy. my girlfriend. my dog. always wearing a watch. tattoos. fake tan. working in retail. massages. hair dye. orginising my wardrobe. eating almonds and drinking red bull.